Breathing- Due to the shape of their head these guys often have a restricted airflow which can restrict their ability to enjoy life and can be dangerous in hot weather. We have successfully treated dogs surgically by opening up their nostrils allowing them to breathe better, and shortening their soft palates (soft tissue at the back of the throat that gets in the way), along with laryngeal sacculectomy (removing small bumps in the throat that swell up and block the airway even further). Owners often say that their dogs have more life about them after being corrected, and have returned to being a puppy! Eyes- We often see Cherry eye in these breeds, when a pink bulge of soft tissue appears from inside the eyelid. This can lead to chronic and painful dry eye problems if not dealt with, and is fixed with a simple surgery by replacing it in an artificial pocket inside the eyelid. 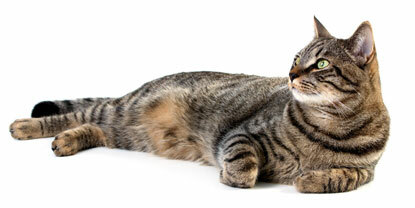 This surgery has a very good sucess rate and we perform it often at Niddrie vets. Another eye problem commonly seen is distichia, where extra eyelashes can grow into the eye rather than pointing out causing irritation. Whilst a couple of hairs can be dealt with easily, some dogs develop much more leading to a more severe irritation. In these cases we often refer to a specialist ophthalmologist who can use operating microscopes and lasers to remove them. Gut issues- Related to their breathing issues, these guys often suffer from regurgitation/vomiting, often when over excited. A lot of these signs can be managed to reduce the chronic discomfort that many humans suffer from too, chronic heartburn. Hips- Hip dysplasia is common in Bulldogs, and affects them to various degrees. It often just causes an exaggerated waddle and a reluctance to jump a lot. Hip dysplasia is diagnosed by x-ray, and can be managed medically or surgically depending on severity. Most severe cases can be referred to a surgical specialist. Many owners are worried about putting these guys under anaesthetic. At Niddrie vets we routinely anaesthetise brachycephalic dogs, and using our state-of-the-art machines we can monitor oxygen levels in the blood as well as other parameters (ECG, blood pressure, temperature etc.) Our nurses are experienced in handling their anaesthesia and reducing the risk involved, making anaesthetising these dogs as routine as other breeds.